and that is just the warm-up! Our commitment to a healthy and fulfilling life means you will enjoy access to a tremendous selection of health and fitness opportunities. Both campuses feature fitness centers with staff-directed programs. 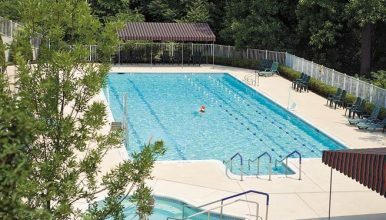 Other recreation resources include indoor and outdoor swimming pools, canoe and kayak launches, biking/activity paths, exercise studios, tennis courts, personal trainers and an array of wellness programs. Aquatics is also a key part of our fitness routine at Medford Leas. With a heated indoor pool and spa on the Medford campus and a heated outdoor pool and spa at the Lumberton campus, we are able to offer a complete variety of aquatics programs, aerobics, walking and volleyball. 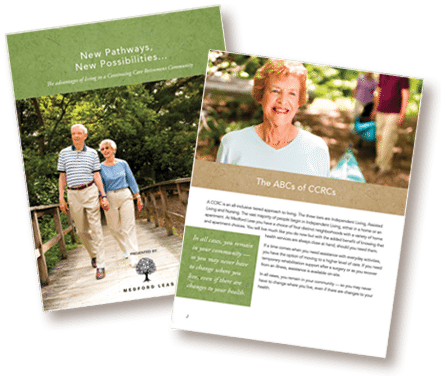 You are free to follow many different pathways to emotional and spiritual health, with dedicated tools and programs designed to foster a healthy mind. From art studios to wood-and-metal workshops, libraries and theaters, a game room, a pool table and table tennis, the “brain gym” with computers and software for cognitive fitness, arts studio, fiber arts, computer center, educational and social programming and more, you will find a wealth of recreational activities right here.